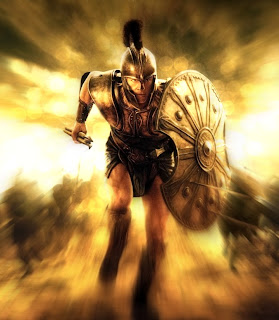 Welcome to the Delphi iOS & Android Developers Community on Google+! 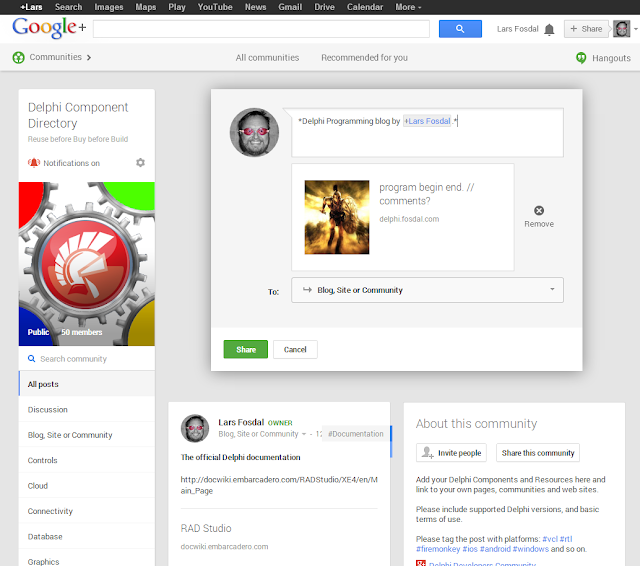 The Google+ Delphi Developers Community sprung another sibling! 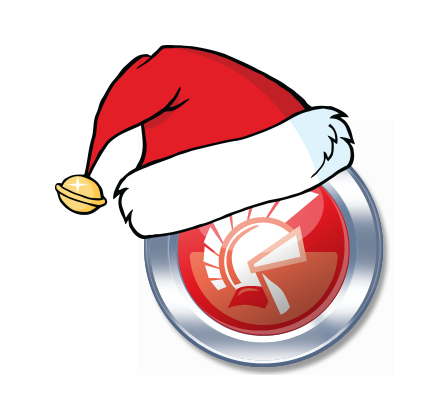 Feel free to join up with the Delphi iOS & Android Developers Community. The Delphi Developers Community is a relatively whine free place to discuss our programming challenges, and has just passed 2200 members, and our new iOS and Android offspring focuses on the finer details of getting the most out of the FireMonkey mobile platform - already have 125 people participating. Then there is the growing Delphi Component Directory, where a steady flow of posts are highlighting the good stuff we may need to solve our challenges. There even is a place to vent your anger with Delphi and Embarcadero without detracting focus from solving programming issues. If you need to rant and rage - people are all ears in Unit Number 5.